Toronto FC and the Philadelphia Union climb up the top 10 in the Pro Soccer USA MLS Power Rankings after home victories in Week 8 of the MLS season. 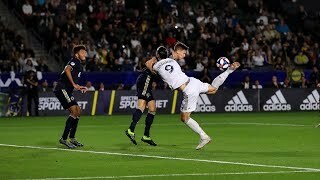 The Philadelphia Union are still looking to take the ste up from an average to a great Major League Soccer team after Saturday's 3-0 win over Montreal. Philadelphia Union playmaker Marco Fabian is progressing on the path back to the playing field, while goalkeeper Andre Blake may be off it for a while. Photo: Paul Rudderow. With four wins in five matches, Philadelphia Union have a lot to be optimistic about. Down 1-0 to FC Dallas with less than 10 minutes left, the Philadelphia Union never stopped fighting, and their persistence paid off. The Philadelphia Union's gameday staff is preparing for the club's first-ever MLS-USL doubleheader at Talen Energy Stadium on Saturday. 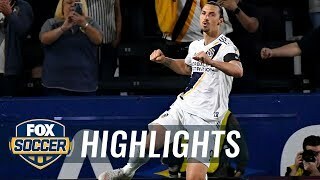 Zlatan Ibrahimovic struck for a first-half brace to lift the LA Galaxy to a 2-0 win over the Philadelphia Union Saturday night at Dignity Health Sports Park.